I knew since middle school I wanted to study abroad someday. On June 8th that little kid dream of mine became a reality. Stepping off of the plane, I knew I had to adjust fast to my new environment. I had decided in the fall of 2010 that I would study abroad this summer in Prague, Czech Republic. I chose it from the stories I heard of other travelers, its cosmopolitan way of life and its history with a temporary rule by the Soviet Union. I wanted something different and unique, and that is exactly what I received. Prague is a city for everyone. From the first night hanging out with my university-assigned Czech â€œbuddy,â€ I knew that the Czech culture was something I could really get used to. After kindly picking me up from the airport, he took me to his favorite Czech pub were we enjoyed goulash while arguing over Eastern European economics. 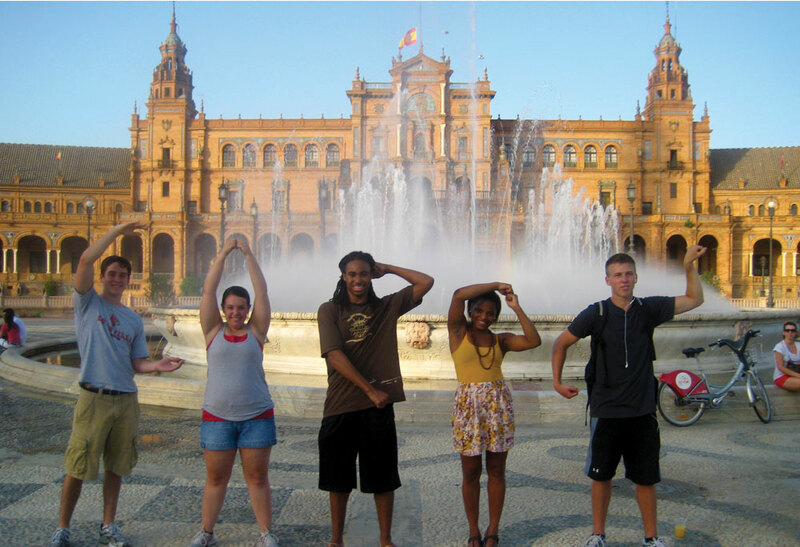 One of my favorite parts about my study abroad in Prague was the diversity of students enrolled in the program. There were kids from France, Austria, Lithuania, Belarus, Russia, Canada, and Brazil. And of course because of the proximity, each one had a couple friends visit them over the course of the program. At the very least it was quite a cultural experience for me. I gained lifelong friends that I am planning to visit already. With these great new friends I was able to explore a city like never before. Being near the heart of the city and on the main tram line, we could travel all over the city every day. Of course we saw the famous Prague Castle and Charles Bridge, the Jewish quarter and Old Town Square. But those werenâ€™t the best places. The places that I will never forget will be our dorm, where we meet to start an adventure or play a game or two of soccer; the pubs where we shared stories about our varying cultures; the bowling alley in South Moravia, Czech Republic where we all enjoyed a night together celebrating the 4th of July; or the hidden diners that our â€œbuddiesâ€ would show us, helping us discover the real Prague. Finally, one of the great things that I will never stop telling people is how much I learned not only from the classes but from first-hand experiences and stories shared by my fellow students. Taking classes on Post-Soviet Economics are much easier to comprehend and fully grasp when you have students and professors who were there and lived it day in and day out. I am confident that I learned more about international business in that one month in Prague than I would have if I had taken 4 years of classes in the States. I fell in love with Prague and will be back there many more times to keep exploring the countless undiscovered parts. If you ever have the opportunity, please do yourself a favor and just do it.